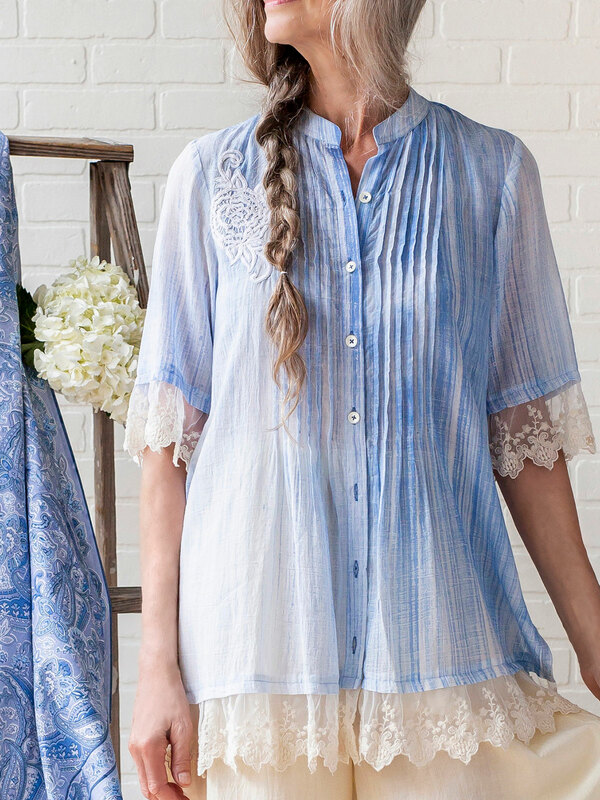 Deliciously light-weight cotton voile that must to be worn to be believed! 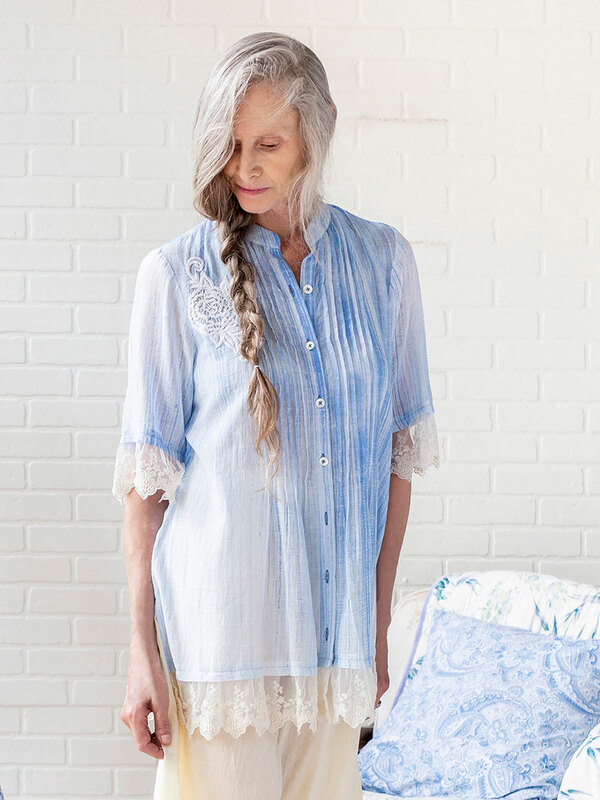 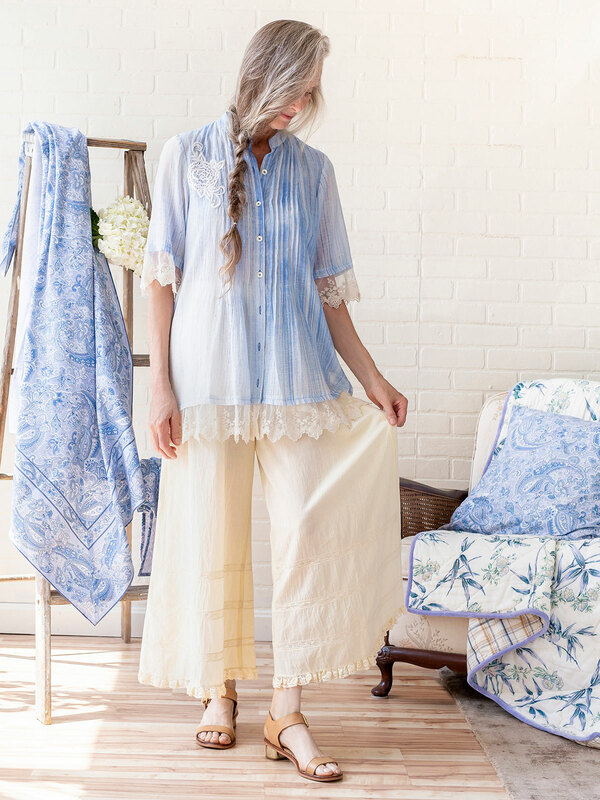 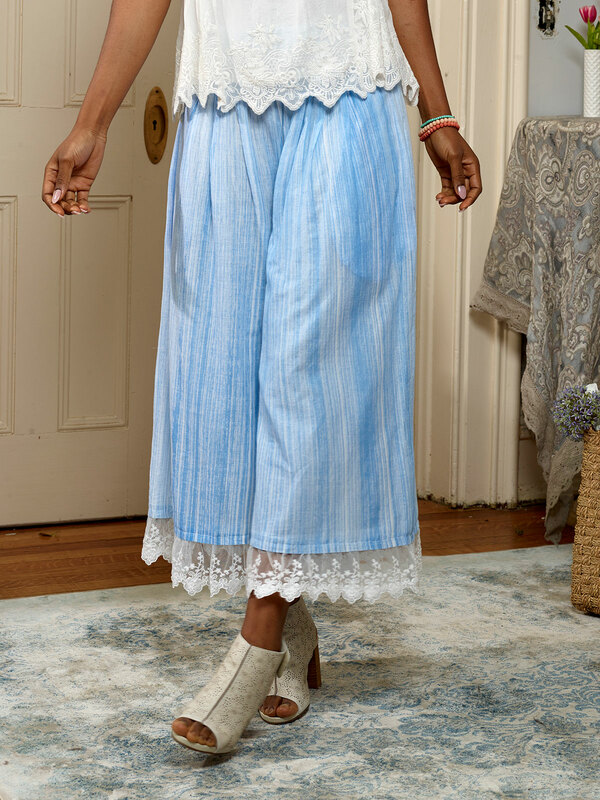 The Paintbrush Blouse presents delicate shades of blue paired with exquisite embroidery and delicate lace sleeves. 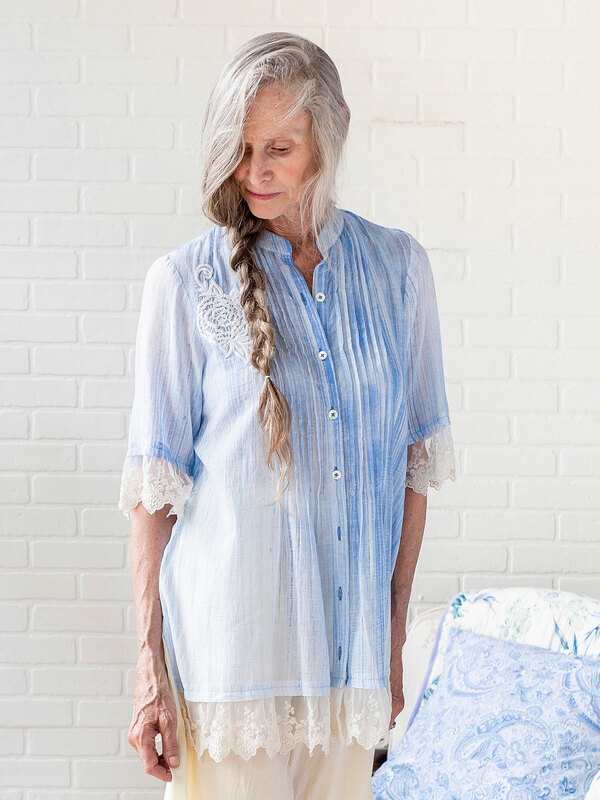 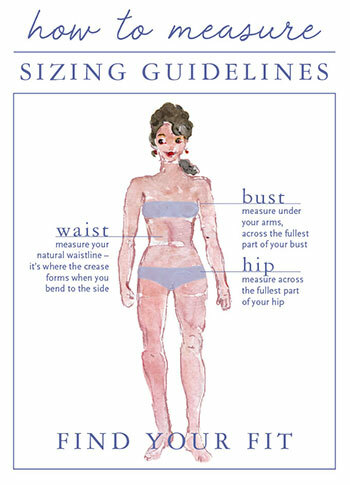 Petite pleats on the body release for a free-flowing, beautiful silhouette.